http://new.dancetime.com/dance-styles/jitterbug-swing-dance/ A Jitterbug Swing dance tip on techniques to improve head looping movements like the pretzel. Pattie Wells and David Nguyen discuss and demonstrate ways to improve head loops in the Jitterbug. https://www.dancetime.com/dance-lessons-san-diego/ Pattie Wells discusses and demonstrates ankle and knee action to improve your swing dancing, specifically the single rhythm East Coast swing, aka, Jitterbug. Pattie teaches exclusively private dance lessons in San Diego at the Dance For 2 studio. https://www.dancetime.com/dance-lessons-san-diego/ Pattie Wells discusses and demonstrates the proper knee and ankle action for West Coast swing. Pattie teaches exclusively private dance lessons in San Diego at the Dance For 2 studio. https://www.dancetime.com/dance-styles/salsa/ A salsa dance tip video for techniques on turns and spins filmed at the Pattie Wells' Dancetime Center, San Diego, California, with teachers Brandon Detty and Stephanie Swain offering some great tips to improve turns and spins for salsa dancing! A Jitterbug Swing dance tip on rhythm variations for jitterbug and how to mix the rhythms to create a more interesting jitterbug dance with Pattie Wells and David Nguyen. 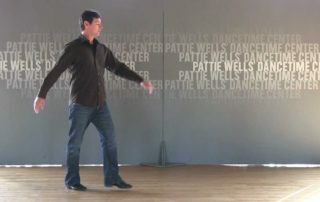 Pattie Wells describes and demonstrates the foot positions used in social partner dancing and Brandon Detty joins her to demonstrate how they are switched up to create different footwork combinations in the West Coast swing. The Nightclub Two Step is a romantic dance perfect for slow dancing. In this Dance Tip we show how to make it flow by using projection, sometimes referred to as flight to incorporate long, fluid steps in your Nightclub Two Step. 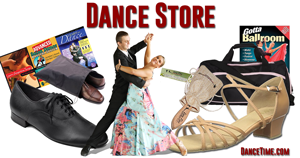 A dance tip with Pattie Wells and Brandon Detty on dance connection and how to maintain the connection in all different styles of dancing including ballroom smooth & rhythm dances and East & West Coast swing whether using a ballroom or swing grip. Concepts include compression and leverage in West Coast swing. 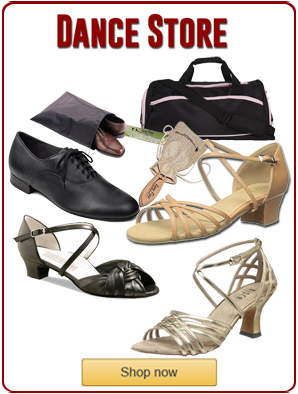 Three types of turns in social ballroom dancing and also in performance dancing and Dancesport. Dan Gibbons describes and demonstrates the three most common types of turns. How to combine elements like walks, triples and breaks into patterns in the ballroom dances like cha cha and rumba. Brandon Detty and Pattie Wells demonstrate how a single rhythm is replaced by a triple rhythm in movements like cross body leads, cross overs and under arms turns when dancing the cha cha versus the rumba. Accomplished West Coast swing dancers use rolling count in their West Coast swing for authentic swing music that uses a swing rhythm. It creates a much more complex, seamless method of executing movement, demonstrated by Brandon Detty and Lizzy Holtzman. Bachata body basics covers a bent knee styling in bachata as well as, using figure eight movements for hips and ribcage and the lift hip on count four. MaryBeth Hughes and Brandon Detty do a quick demo of the bachata using the body basics. MaryBeth Hughes shares a dance tip focusing on Cuban Motion for the Latin dances including salsa, cha cha, mambo and rumba with emphasis on the ankle, knee and hip action then gives a short demonstration with Brandon Detty on how it works in salsa dancing! The rise and fall action in the slow waltz, sometimes called the American style Waltz. Brandon Detty and MaryBeth Hughes discuss and demonstrate how to add more dimension and grace to your waltz by using the signature rise & fall action. David Nguyen discusses the benefits of using contra body to shape your movements in West Coast swing and vastly improve the aesthetics and feel of your swing dancing. He demonstrates this technique with Lizzy Havens. In the Dance Tip video this week David Nguyen demonstrates with Lizzy Havens how a lead(er) uses the core to accelerate or slow down a follow(er) through space in the West Coast swing. This Swing and ballroom dance connection video covers how all social partner dancing involves leading from the body while maintaining connection. The connection can be through body contact or a small a surface area the palm of the hand. 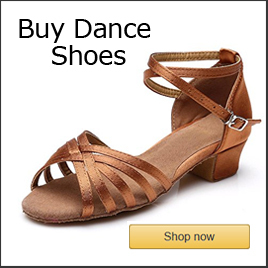 So whether all the dances from swing to tango or salsa involve matching resistance and leading/following from the body.